Currently Lecturer in Human Geography and GIS at Keele University (United Kingdom), Alex has also worked at the University of Leicester, the University of Barcelona, Durham University and the University of Lleida, carrying out a variety of teaching and research roles. He holds a BSc in Geography from the University of Barcelona (2007), a MSc in Geographical Information Science from the University of Edinburgh (2008), a MEd in Higher Education Lecturing (2011) from the University of Barcelona and a PhD in Geography, Planning and Environmental Management (2013) also from the University of Barcelona. He was a visiting scholar at the University of Sheffield (2010). Alex’s research in varied but always linked to the use of Geographical Information Science to solve spatial issues. 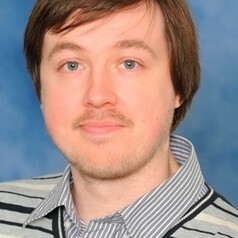 He is currently working in the digitisation and distribution of historical cartography, the history of mineral bottled water, social and economic well-being, the use of drones for photogrammetric purposes, the socio-linguistics of Twitter, data analysis, and visualisation and electoral geography.